Just as Luke Cage is dispatching Misty Knight to Iron Fist’s second season, the next season of Luke Cage is bringing in an Iron Fist alum—the titular hero himself. Hopefully there’ll be some hiring for heroes while he’s there, too. It’s great that these two characters are going to spend some more time together outside of specific team-ups like Defenders. After all, as close friends and partners together in Heroes for Hire, Luke and Danny’s relationship is a cornerstone of their comics counterparts and that’s something we’d love to see translate on screen. It’s going to take some time to get there, though. One of the weaker aspects of The Defenders was how the show tried to force chemistry out of the comics-mandated friendships it had on hand, including Danny and Luke—well before the live-action versions of these heroes even had a grudging respect for each other. 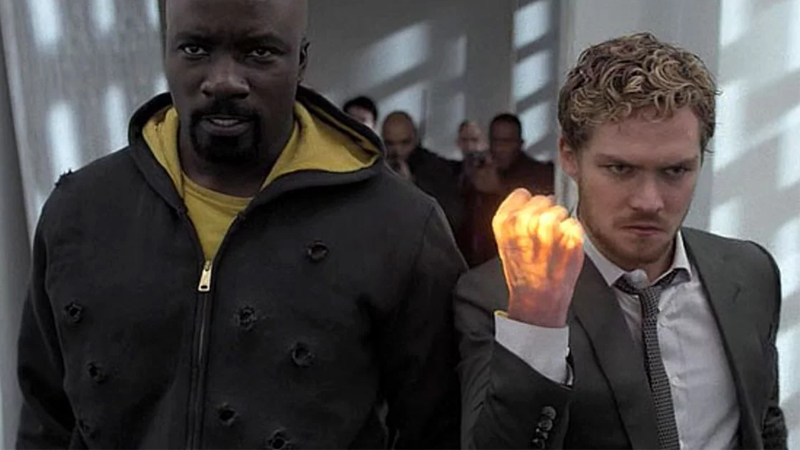 Hopefully Luke Cage’s second season will do a better job of showing how Luke and Danny become friends and business partners... assuming that’s where the Netflix corner of the Marvel Cinematic Universe is heading. Luke Cage’s second season is set to hit Netflix next year.